After being in Port Douglas for just over a week, the sun came out. While sitting in our courtyard, eating lunch, we spotted three of these fellows. Each keeping to their own patch. When two became too close speedy chasing and tail biting took place. 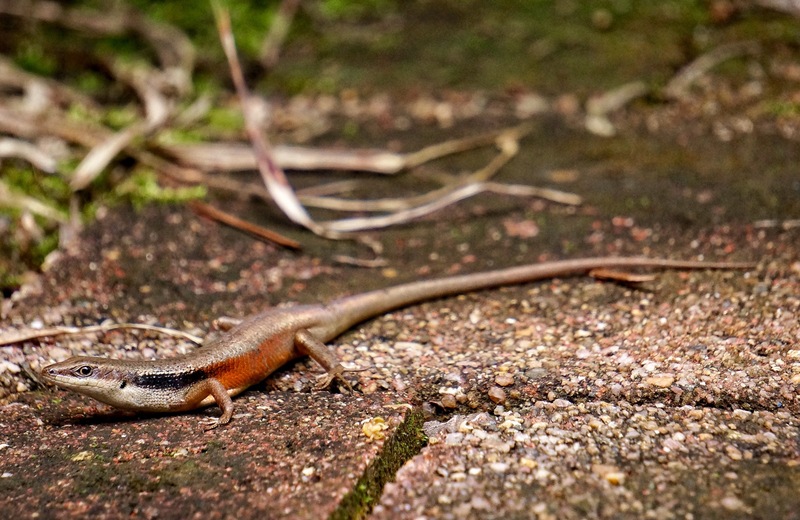 A Google search identified them as Closed-litter Rainbow Skinks (Carlia longipes). Really cool shot of a difficult and fast subject.